Believe it or not, sherbet and sorbet are not the same. Yes, you read that right. While both terms may have been interchangeably used by many for decades, they still remain different. In what way? This article will discuss the difference between the two. Sherbet is a frozen dessert that is made by mixing fruit and dairy (milk, buttermilk, cream, or egg whites). Some brands also make sherbet that is a combination of fruit and gelatin. Generally, sherbet has a dairy fat content of about 1% to 2%. It has a rich texture and lighter color because of the dairy it contains. Its flavor is also mild. It is a famous dessert for kids and adults alike. However, sherbet is not vegan-friendly. It is also not good for lactose intolerant people. 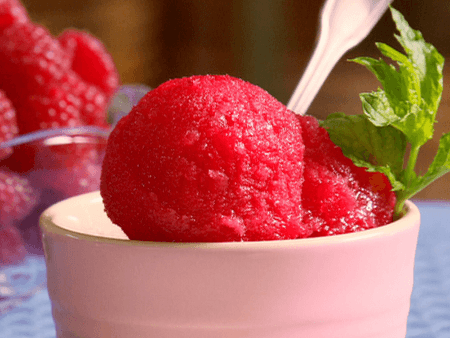 On the other hand, sorbet is a frozen combination of pure fruit or fruit puree, sweetened water, and flavorings such as wine, liquor, ordinary sugar, or honey. It does not contain dairy. Sorbet has a fruity taste and a grainy but soft texture. 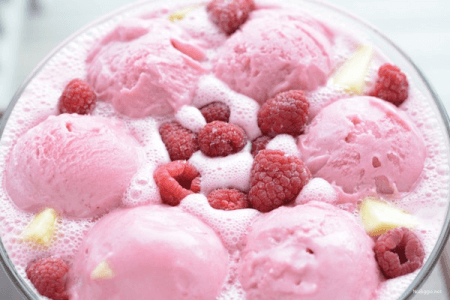 Because it mainly made with fruit and no dairy product is used, sorbet is vegan-friendly and is a good dessert for those people who want to avoid lactose and gluten. It is also a great alternative to ice cream as it has a lower fat content. Aside from being a popular dessert, it is also served between courses in multi-course meals to cleanse your palate. Its icy texture and natural taste remove the remaining taste of the previous meal and prepare you for the next course. What, then, is the difference between sherbet and sorbet? Both are fruit-based frozen desserts. Sherbet is a combination of fruit and dairy, while sorbet is a combination of fruit, sugar, and sometimes alcohol. Sherbet has a creamy texture whereas sorbet has a grainy but soft texture. In some cases, sherbet also has a lighter color than sorbet because of the dairy it contains. Sherbet is not good for people who want to avoid animal fat. Sorbet, on the other hand, is a good alternative to ice cream and sherbet because it contains hardly any fat. Sherbet and sorbet are famous desserts for kids and adults alike. As well as being a dessert, however, sorbet is used as a palate cleanser between meal courses.